carol j. phipps | all galleries >> Galleries >> Autumn Scavenger Hunt > MORE. Wow! Great vibrant colors! I'm jealous...Calif. is not as brilliant. Excellent!!! Oh my, is this ever gorgeous!!!!! 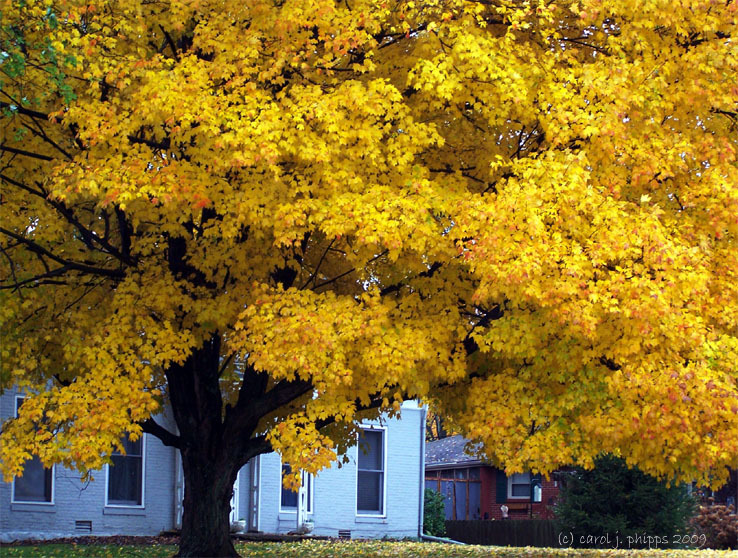 Beautiful shot of this golden tree. you can't get much more than this but I'm betting as the colors change you say more more a lot! I would. Beautiful fall shot. Wonderful colors. Vote. Wow, what a SIZE that tree is - and how many leaves! A splash of yellow autumn colours. Gorgeous. Wow...can´t get more of this! Magnificient tree, splendid colors! V.